Prevent the loss of sensitive data from corporate networks. DLP software products use business rules to classify and protect confidential and critical information so that unauthorized end users cannot accidentally or maliciously share data whose disclosure could put the organization at risk. Adoption of DLP driven by insider threats and by more rigorous state privacy laws, many of which have stringent data protection or access components. In addition to being able to monitor and control endpoint activities, some DLP tools can be use to filter data streams on the corporate network and protect data in motion. 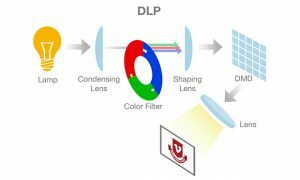 DLP products may also be referred to as data leak prevention, information loss prevention or extrusion prevention products. 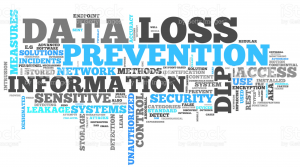 What is Data Loss Prevention Security? Data Loss Prevention (DLP) is a computer network security term referring to systems that identify, monitor, and protect data in use (e.g. endpoint actions), data in motion (e.g. network actions), and data at rest (e.g. data storage). How does Data Loss Prevention Security protect you? So systems are designed to detect and prevent unauthorised use and transmission of confidential information Vendors refer to the term as Data Leak Prevention, Information Leak Detection and Prevention (ILDP), Information Leak Prevention (ILP), Content Monitoring and Filtering (CMF), Information Protection and Control (IPC) or Extrusion Prevention System by analogy to Intrusion-prevention system. How does Data Loss Prevention Security work? Data Loss Prevention Security works through deep content inspection, contextual security analysis of transaction (attributes of originator, data object, medium, timing, recipient/destination and so on) and with centralised management tools. 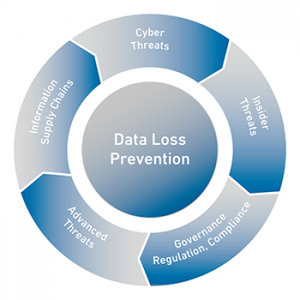 What are the business benefits of Data Loss Prevention Security? Comprehensive data protection for your company or organisation is essential. Identifying and protecting confidential information prevents data breaches, data leakage, and demonstrates compliance and reducing the risk of external attacks and the insider threat. Data Loss Prevention Security is an important factor in the protection of your data and that of your customers.